Microsoft has taken another step in its approach to bring its various products eco-system more closely and connected to each other. Few months ago, before the release of Windows 8 Release Preview, Microsoft has killed the Windows Live brand name and introduced it back as Microsoft Account. Now we are going to witness the demise of Zune brand name soon. Microsoft is all set to introduce all Zune services with more added features with a new label on it. The revamped version of Zune player and services is now called as Xbox Music. An introductory video of Xbox Music has been made available by Microsoft on Zune official website. Xbox Music is now the new way of listening music on Windows 8 PC’s and tablets, Windows Phone, and Xbox 360. The new Xbox Music will be made available later this year and may come preinstalled on Windows Phone 8 Apollo. 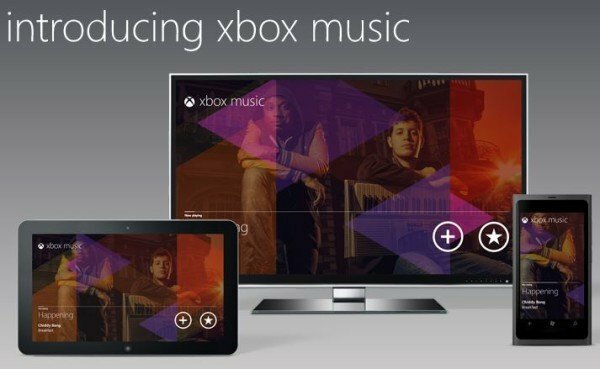 The current Zune customers will automatically become Xbox Music customers and will have access to everything they have today with more new features. The details about these new features will be revealed closer to launch of Xbox Music. As of now, we know about the new user interface, a world-class music library, and great new ways to enjoy, share and discover new music. A new feature called as Smart DJ will help you discover new music by creating playlists around the artists you love and let you share it with your friends instantly. There is no doubt in saying that Xbox Music with Metro UI will make the Music you love more organized and easily available at one place. As of now, no details of launch date or general availability has been made public. For more details you can visit the official Zune or Xbox website. Xbox Music is one more step of Microsoft to streamline its entertainment business under one brand name. What you think, any comments?